Hard to tell from the perspective in the photo. Are the lilies gargantuan here, though small on the scale of the universe? How tall are they? 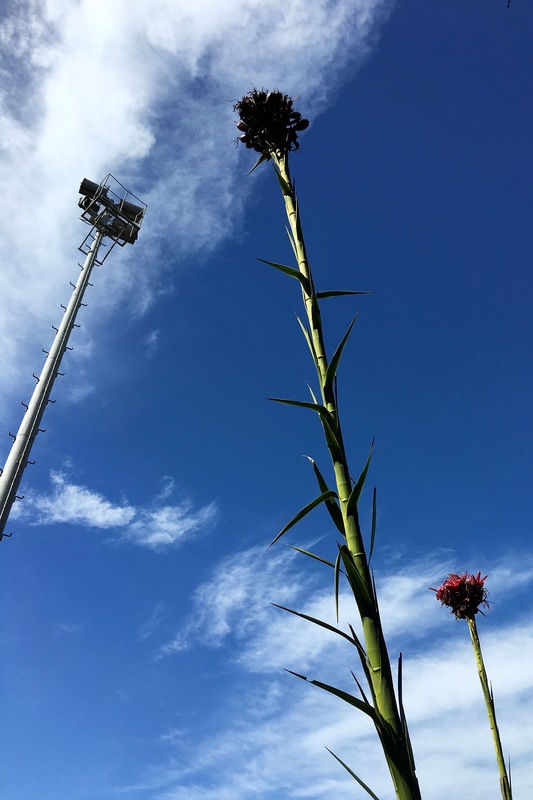 The leaves are about one metre long while the flower stem grows to around five metres high, so quite big. There is a picture of a few of them in a post from 2014 https://theinfp.com/2014/12/22/gymean-perspective/.